Website Advertising — we offer business card sized ads in the right hand side of most web pages on our site. 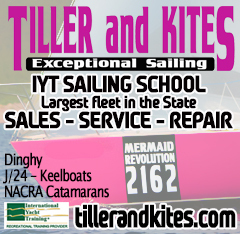 Windbreaker Advertising — we offer 1/4 page ads in our monthly newsletter. The cost for both mediums is $150 for a six month ad. The advertiser must provide advance payment as well as suitable graphics and/or text (preferably a .jpg file). Classified Ads — in addition to the commercial advertising offered above the club offers classified ads to members free of charge. 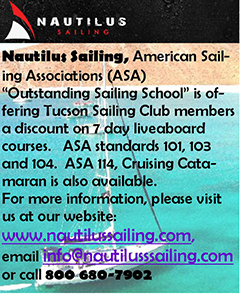 E-mail your ad to webmaster@tucsonsailingclub.com. Please include a picture if you have one.